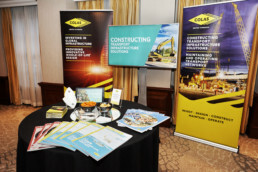 Colas UK specialised in delivering road infrastructure for 90 years. 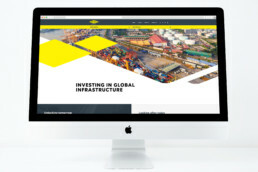 In late 2017, they vastly enhanced their service remit and geographic footprint, integrating the strength, skills and experience of their international parent into their existing operations. Their brand identity, symbolised by its iconic ‘shark fin’ logo, no longer accurately represented the breadth of their offer. 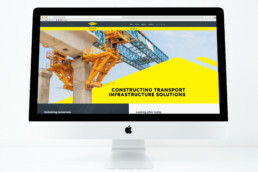 Bell were appointed in late October 2017 to deliver a brand solution for launch at the CIHT Annual Luncheon on 8 December. 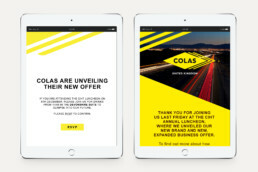 The global Colas identity (a yellow ‘diamond’) would represent the UK corporate brand, and be used for their new divisions, whilst the ‘shark fin’ identity would be relegated to product sub-brands for their existing divisions. 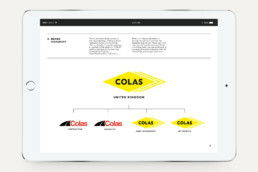 This presented a huge challenge –two identities with the wordmark “Colas” in the market concurrently. 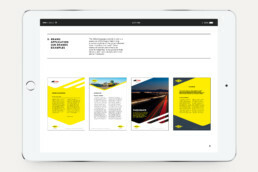 Focussing on the new identity, we developed a brand model, brand relationship modelling and messaging matrix, which informed all elements required for launch. 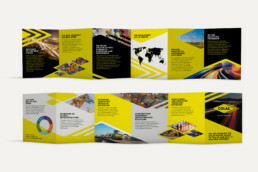 We produced interim guidelines, literature, event collateral and two videos. 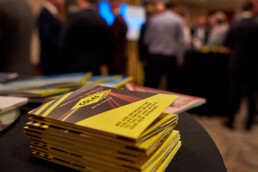 The event was a huge success, and the full brand transition and activation programme is now underway.